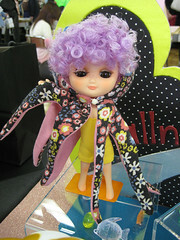 Here are the patterns that you can find in the last issue of DollyDolly magazine (vol.19). As usual you can find all pictures from those booths on my Flickr stream. P.S. : by the way Songes de poupées will be moving soon. I’ll let you know as soon as I have the new address. I went back to the Odeco & Nikki event today. I wanted to take part in the lottery, and it was the last day to do so. And I had the suprise to find Siu Ding there! For those who wouldn’t know here, she’s the one behind Ixtee. 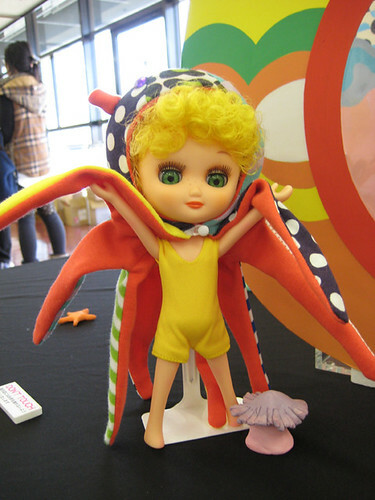 She’s really nice, I’ve had the occasion to meet her a few times before while she was in Japan (for the Dollshow). I didn’t know she was in Japan now. She almost scared me: I was looking at something and suddenly I felt something jumping in my back. I turned and saw it was her! They’re in Japan for a few days for some holidays. She heard about the deconiki event and since she likes those dolls (it seems she has many) she thought she would go see it. They took some pictures, you should go check her Flickr maybe she will upload them later. 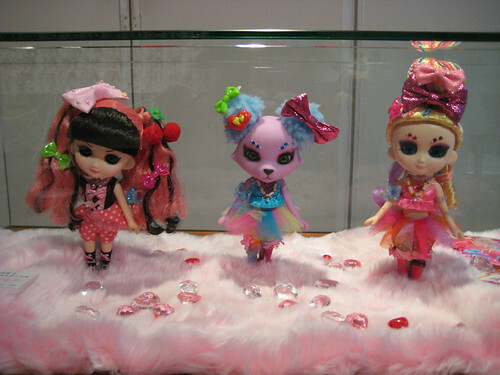 And just to let you know, I went to the Momoko Ninita event on Monday, and have lots of pictures and news to share from there (future releases!!). Some of you probably already saw them on Japanese blogs. I’ll talk about it as quickly as I can. It’s the third anniversary event for Odeco-chan & Nikki. They organize such an event each year. This time it’s held at Parco (Shibuya, Tokyo) until April 1st, for those who are in Tokyo and are interested. It’s a cute little event. I’m going to describe quickly what was there, you can find all the pictures on Flickr. This is the birthday cake they made that displays all the releases so far. It’s a pièce montée, the dolls standing up at the border of each floor. It’s nice to see them all together! 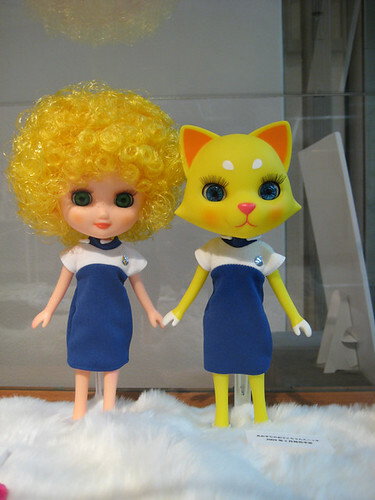 Two dolls whose outfits were made by Kanihoru for a photoshoot published in Spoon magazine. The issue is about forest, so those are “forest girls”. They wear natural clothes and are in a nice forest display. I really like their clothes! 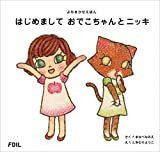 A second book about Odeco-chan & Nikki is about to be released. It’s a illustration book, as good for children as it is for Deconiki fans. ^^ It’s really cute, and talk about how they met and got friends. 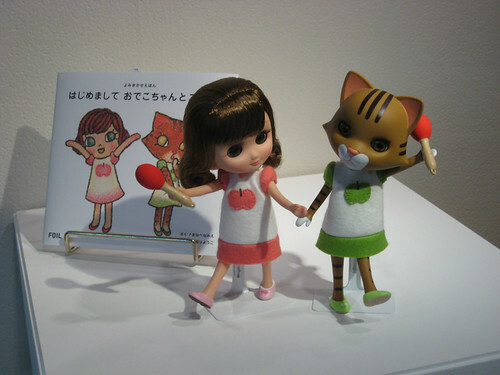 The event exhibits some of the drawings in bigger size and the real dolls based on the characters. There’s having an early sale of the book at the event. When you buy it there you get a folded card with a drawing and a picture of the dolls and the pattern of their dress. 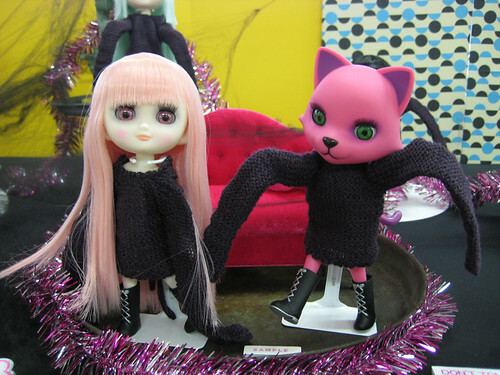 A few custom dolls made for an earlier event and exhibited again here. They have past releases of Odeco-chan & Nikki redressed in various clothes from stock outfits, outfit sets and CCS clothing. Some of them are wearing shoes from two new shoe sets that are going to be released next month (and presold here at the event). Il really like the colors of those new sets (the types of shoes are the same, only the colors change). You can see the sets here and here. Impressive, isn’t it? 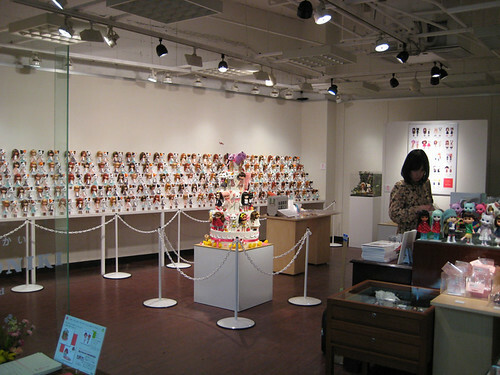 This is a wall of one of kind Odeco-chan and Nikki. 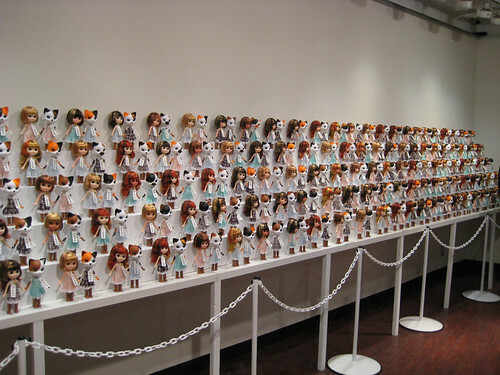 There are 150 dolls of each, and all are different. 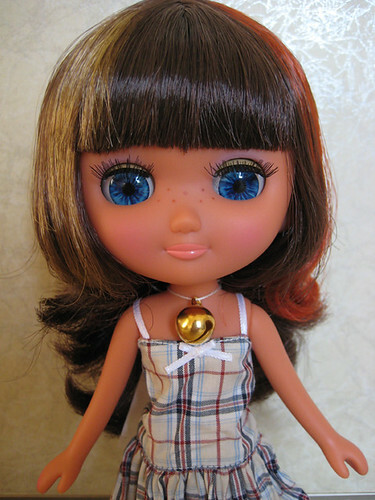 Variations for Odeco are: skin color (fair, normal, tan), hair cut (bob or longer curly hair), hair color (a mix of different colors) and the eyes. Variations for Nikki are: the eyes and the shape and color of her patches (always two different colors, the base being white). And they have different kinds of dresses. 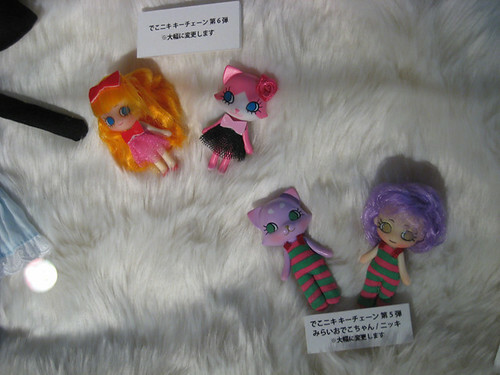 All are based on the under-dress/slip from the Dreambox dolls, but in different colors: plain blue, pink or mint green, or two kinds of paid. They all are very lovely, it’s very difficult to pick a favourite! They are sold via a lottery. You can choose up to three of each (so six in total) until March 25 (tomorrow). They will announce the winners later, who will then be able to buy them. They’re at 10,500 yens each. I tried to take pictures of lots of different kinds so you could have a good idea of what they created, the pictures are on Flickr. 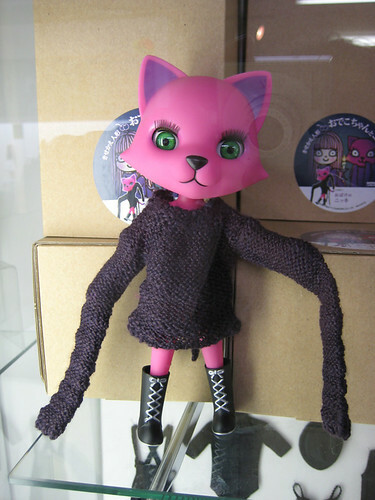 They have the same characteristics as the dolls sold at the anniversary events the previous years, even though they’re not sold at the anniversary event. They’re planned for May. 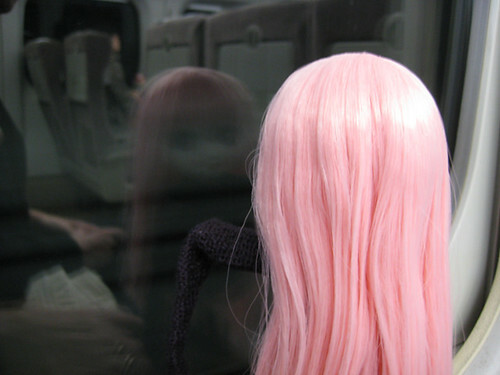 I don’t like Odeco’s wig, but I like Nikki’s color. It’s very bright but I like it. 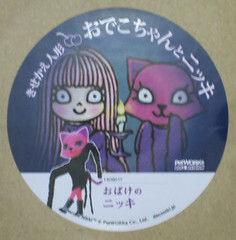 They also had the first Odeco & Nikki book, so finally I was able to look at it. It’s very cute, much more than I thought! It tells small stories through drawings, like a mini-comic strip. It the same style as in the latest cards that come with the dolls. After each story you have a picture of the related dolls, and at the end of the book you can find the patterns of the outfits. I’m totally adding it to my wishlist for later! You can send me an email at lholy_chan [[at]] yahoo [[dot]] fr for more info. The Obake Odeco-chan & Nikki are out since last week! 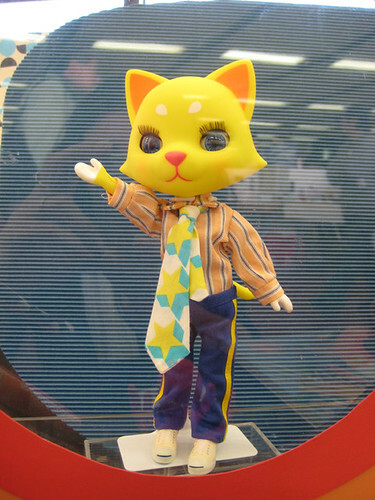 Odeco-chan seems to be very popular: Azone didn’t have any left when I went there on Saturday. So I only took Nikki’s picture. 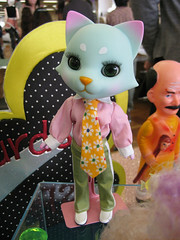 But I had pics of Odeco-chan taken at the Dollshow. You can find them on my Flickr (in the “Dollshow 24” set).